Back in the date, app development was done with the same old traditional method, discussing the project requirement in detail and finalizing the delivery time without any alterations. The concept does exist but clients approach the mobile app development company with a newer concept where these concept fails to work. For newer requirements comes newer app development methodologies. The newer clients have fluctuating needs for which scrum agile is an apt choice. When the app requirements are unclear, when there is an idea but the execution needs are vague, when the features and functionality are unpredictable, scrum agile is the method you should opt for. The term Scrum is basically used in rugby game which means a pile of players playing together to achieve a specific goal. Coming to software development, it has a similar meaning. Scrum is a method where app development is done in an iterative and incremental manner which allows the clients to fluctuate development requirements. The pace of innovation is rapid which makes the app development an ever-evolving project where changes are mandatory. When there are complexity and ambiguity, scrum agile should be your choice of methodology. 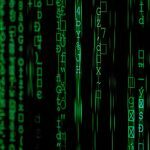 What Are The Benefits Of Choosing Scrum Methodology? 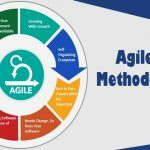 How To Implement Scrum methodology? 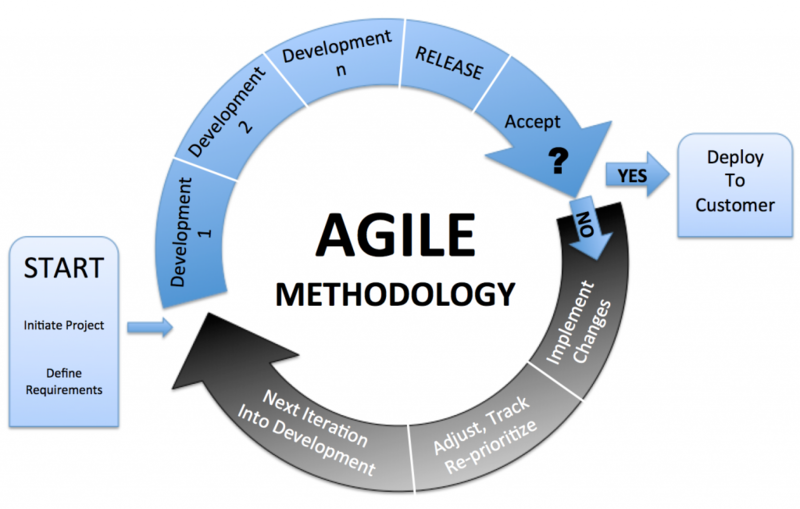 Basically, there are three parties involved in the agile scrum methodology for app development. Let’s determine the roles of each of the category. The product owner is the main party of the project. He is the main client, the one with vision and mission of the project. The product owner is the one conveying the project details and the one to who is in constant communication of the project status and who have the right to make changes in the project. The scrum master is like the bridge between product owner and development team. The role of the scrum master is more like a facilitator instead of a leader. He is under the obligation to make sure that the team adapts to the scrum theory, rules, and different practices. The scrum master puts in his effort to make sure the team performs at their best, resolve their queries if any. Also, he makes sure that the product owner is satisfied with the output. To achieve the best result, he conducts meetings, eradicates hindrances and creates a communication channel between the product owner and the development team. The development team consists of the group of technical people assigned to accomplish the project in best possible manner. The team consists of designers, developers, and testers who are needed to build the app. These are the bulk of people acquiring the skill set to outburst with the app deployment on the incremental stage. They are liable to give a project update, launch the app in the installment phase and make changes as per the feedback.